How can I use an existing form as a template? I would like to design this form but can't find the tools to create it. Can you please send me the link to this form template? Thanks! I got it set up. Now that brings up another question. How do I change the color of the Send button and the background behind the form? Thanks! You can use the form designer to accomplish this. 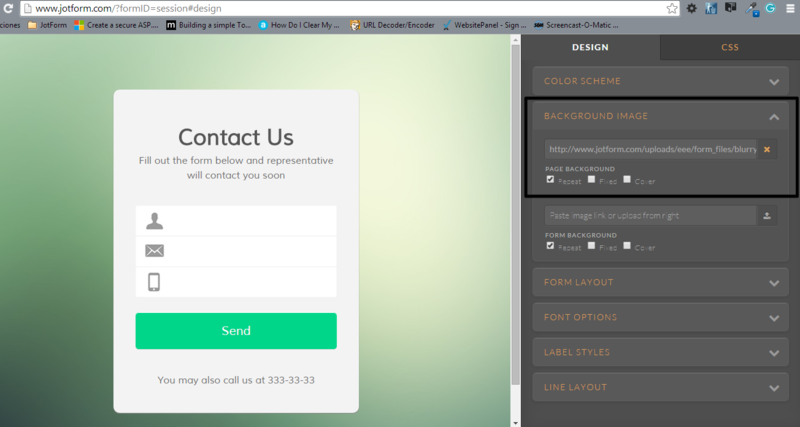 Open the form in the form designer, click on the background image tab and change the Page Background to the image of your preference. 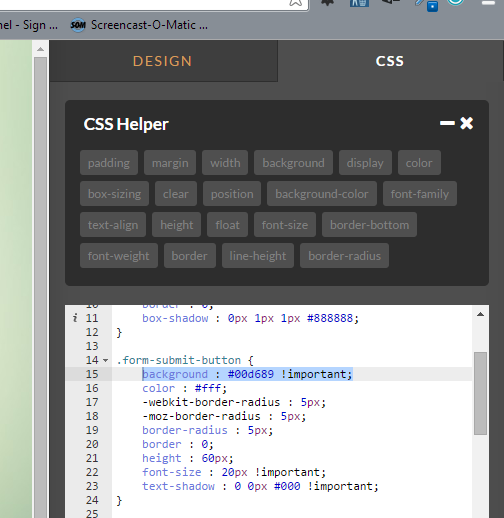 Open the form on the form designer, click on the CSS tab a look for the highlighted line on the image below and delete it. Then select the button and look for the background color property and change it.